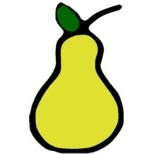 PEAR continues to stand behind this statement, as the past two and a half years has only seen an increase in the corruption and unethical behavior that prompted the statement in the end of 2012. In addition, PEAR alerted adoptive parents (“APs”) of a failed attempt by American families to take their adopted Congolese children out of DRC without authorization by the Congolese government in September 2014 (http://pear-now.blogspot.com/2014/09/american-families-caught-attempting.html). Since this time, PEAR has received reports of increased smuggling of adopted children by U.S. citizens out of DRC. PEAR strongly opposes such actions and reminds all APs that U.S. citizens adopting from foreign countries are required to obey the laws and regulations of the sending countries. Despite this clearly-worded statement, American families continue to either take or have their adopted children taken out of DRC without exit letters issued by DGM Kinshasa. This may include the use of bribes, fraudulent paperwork, and/or illegally moving children across international borders. These actions are in violation of Congolese law and/or policy (http://www.dgm.cd/infos.php), and are plainly contrary to the goal of ethical adoptions. PEAR strongly condemns the removal of adopted children from Congo in violation of the exit letter suspension.